Manufactured from our range of elegant profiles they combine improved insulation with excellent security to meet today's demanding performance requirements. With a comprehensive range of designs in either 2, 3 or 4 panel options, fully or part glazed with either inward or outward opening. 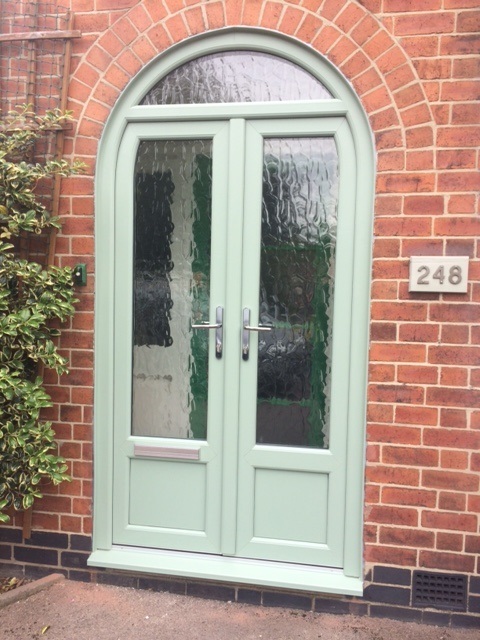 PVCu French Doors in White, Anthracite Grey, English Oak, Rosewood, Mahogany, Cream, Ivory, Black, Light Grey & Chartwell Green Woodgrain Foil Finishes. We are very pleased with the new door. Many thanks to the two fitters, they did an excellent job and left everywhere very tidy when they had finished. For more information or for some prices for our French Doors then Contact Us direct today. Call us on 01332 371883 or alternatively fill in our Online Enquiry Form.